The Mid Atlantic Association of Golf Course Superintendents would like to express thanks to its Affiliate members and their respective companies who supported the Association in 2018. It was another successful year for the Association due in great part to the exceptional support from the Affiliate membership. The Board requests the continued support of its Affiliate membership to meet its goals for 2019. 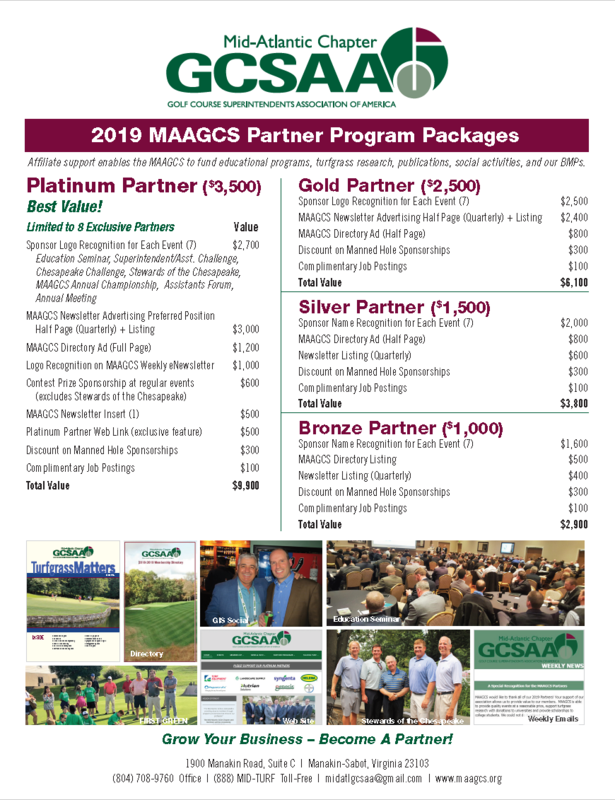 The Affiliate support enables the MAAGCS to fund educational programs, turfgrass research, publications, social activities, and government relations. Thank you for your support and we look forward to an exciting 2019! Please email this form to: teastham@gmail.com and send a check for the full amount to MAAGCS c/o Herkalo & Co, PA, 11350 McCormick Rd, EP III, #602, Hunt Valley, MD 21031. 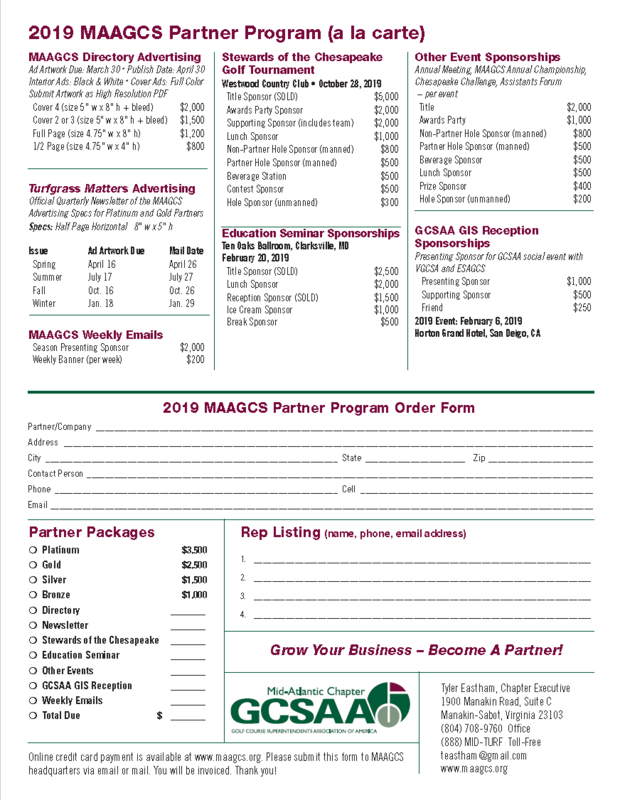 You may also pay by credit card by going online to “Sponsorship” page at www.maagcs.org. If you prefer, we will be glad to bill you in four installments.